Hello friends how are you i hope you all are fine. 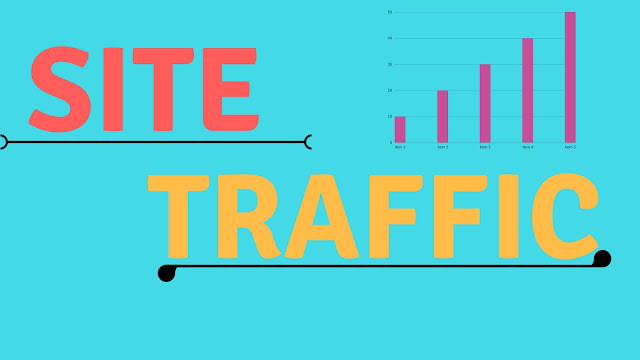 So today i will tell you about site traffic why site traffic is most importent thing for website or blog. Traffic is most importent thing for your blog or website because traffic is main thing.Traffic can grow your blog or website and traffic also helps you in Adnetworks.When you have traffic then you can Approve from Adnetworks Like-Adsense,Media.net etc.These Adnetworks approve your site when your site have more traffic. Social Media- Social media traffic is those traffic which is comes from social media apps or platforms Like-Facebook,Twitter,Instagram etc.These traffic are called social media traffic. Seo(search engine optimization)-Seo traffic are those traffic which is comes from search engine Like-Google,Bing etc.These traffic are called seo traffic. Google Adwords-Google Adwords traffic i think you know this.Those traffic which is comes from Google Adwords and it is also called paid traffic because you paying money to Google Adwords so thats why Google Adwords sending you more traffic. Print Ads and Billboards-This traffic is not a free traffic and its a very populer.Those traffic which is comes from seeing the boards and Print posters of your site Public see the boards and search your site so it is called Print Ads and Billboards traffic. Organic traffic-This is very usefull traffic and very populer.Those traffic which search anything on search engine and click on your site so this is called organic traffic.Organic traffic is very usefull for Adsense approval. So i hope you understand what i am saying about traffic once more i will tell you Traffic is main for you and your site.You write a post and their is nothing traffic comes on your site so your site will not grow and if you have more traffic and organic traffic so its a very good thing for you.Site without traffic is nothing now i hope you thinking about how to get traffic so dont worry i will tell you in next post Ok i will tell you different different ideas for traffic. Comment me on comment box below if you have any problem rlated to traffic and related to this post.If you have any question so comment on below i will give answer of your questions.